Seller will give you a gift certificate in the amount of 8,792 RUB for a positive review of the product purchased. - Additional slot in the hangar. 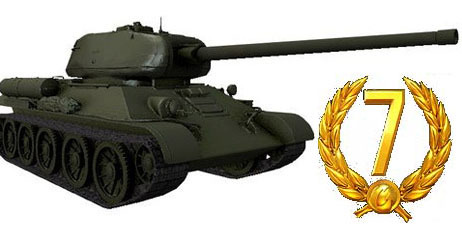 After activation code on T-34-85M, equipment remains in your account permanently! If this technique is already in the hangar at the time of activation of the bonus code, accrued compensation in the form of a game of silver to the value of technology in the game at the time of activation. This bonus code can only be activated on RU servers. 2. Go to "My Profile". 3. Enter the bonus code and thus carry out the activation code. 4. If the activation code you received the message: "Invalid code" - Check if you have copied the wrong code or copied with spaces and other special symbols. Note - sometimes due to engineering works or failure on servers Wargaming bonus codes are not taken correctly. Repeat activation later. In this case, the bonus code is not refundable! Seller will give you a gift certificate in the amount of 8,792 RUB for a positive review of the product purchased..